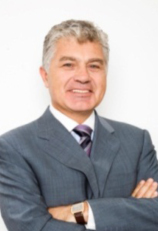 Markos is the CFO of Quest Holdings since March 2010. Over the past 28 years he served numerous enterprises starting with senior financial & administration positions and since the mid 90's he holds senior executive positions, as COO in the print media business and President and CEO in magazine publishing company. Between 2003 and 2007 he served Quest as the Group CFO, contributing to the most successful divest (Q Telecom) of Quest Group. In his career he was involved in different M&As, IPOs and divests. Markos holds a bachelor's degree in Business Administration from Piraeus University, an MBA from Hellenic Management Association and a Magazine Brand Management Certificate for top executives from the worldwide magazine media association (FIPP).